Near the end of the workshop the therapists use their new skills on local children during a practicum. The success is shown in a few images taken in the last workshop in Brazil. This 11 year old child needs to hold a mesh wall in order to stand. Her posture and foot support is improved during the workshop as seen in the after photograph. This girl was 12 years of age. Her posture changes can be compared in the before and after photographs. The before and after were taken approximately a week apart. In the before TASES she was barefoot but wore shoes in the after video. 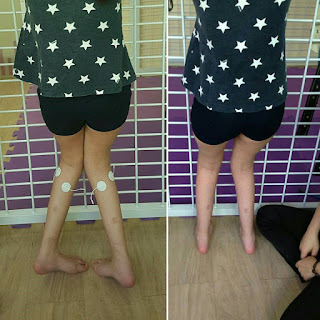 As shoes has an advantage over barefoot, the therapist sent another video taken later where the child gets to stand while barefoot to compare with the before electrical stimulation when the child was also barefoot. Workshops are 2.5 days, include demonstrations, labs and a practicum. 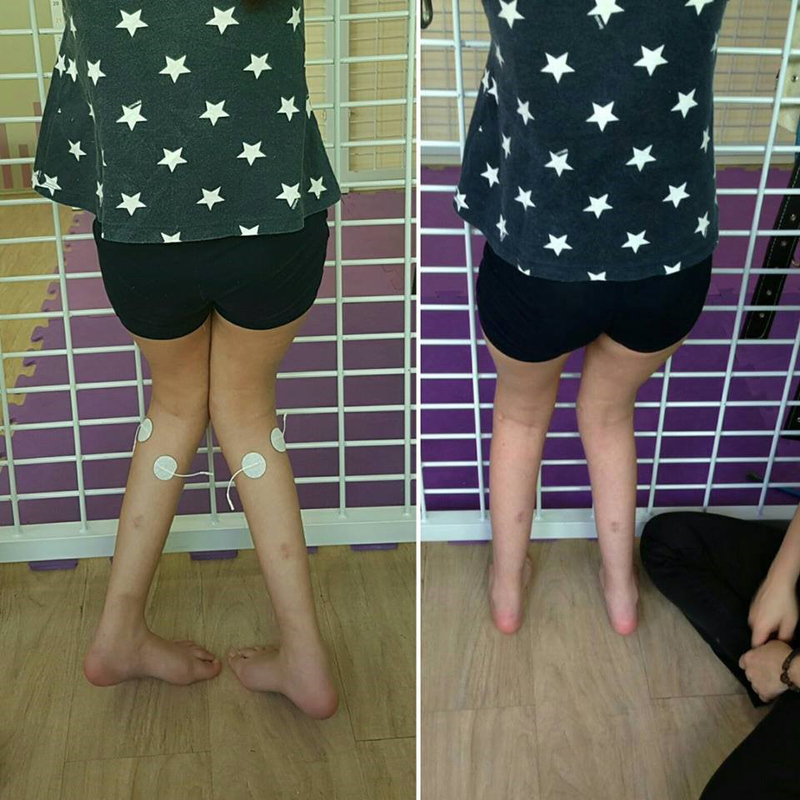 The advanced class has an additional practicum for children in GMFCS levels IV and V.
Clinical use of neuromuscular electrical stimulation for children with cerebral palsy, part 1: lower extremity. Clinical use of neuromuscular electrical stimulation for children with cerebral palsy, part 2: upper extremity. Forefoot mobility in ankle and foot orthoses: effect of gait on children with cerebral palsy. Importance of orthotic subtalar alignment for development and gait of children with cerebral palsy.